I'm trying to use the Phoenix Flight Simulator with my Spektrum DX6e transmitter although this transmitter does not have a trainer plug (like a small audio jack). So, I was wondering if I could still make a bridge between the audio jack from the simulator (USB to audio jack) connected to the PPM signal of a receiver. That way, the transmitter is binded to the receiver and the software receives the instructions through the PPM signal although I'm still missing what is the audio jack expecting besides the PPM signal (if it works) and any other voltage if required. 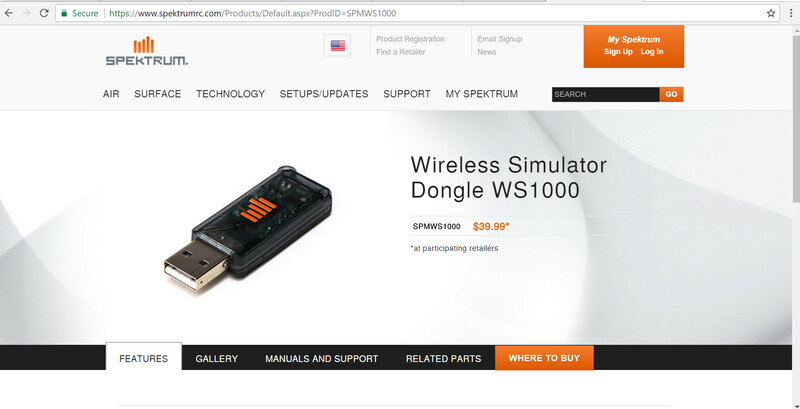 That's pretty much what the "Wireless Trainer" is -- an RX built into the master TX that the slave binds to. In this case, your phoenix module is the master, so outfitting it as wireless is a good way to go. So I take it you're up for a little hardware hacking . . .
Keep it simple. PPM DSMX/2 receiver with an appropriate power supply, with the PPM signal fed into a potentiometer which feeds the Phoenix module. Easy peasy. Audio line signals are typically 1Vpp (2V span). A 5v CPPM pulse train from the RX may be a bit harsh (might be fine), so a small pot (~1k?) can tame that down a bit. For wiring it in, tie the wiper lead to the input of the phoenix module, one end to ground and the other to your RX. before you plug everything in, turn the wiper all the way toward the ground end (short the phoenix's input to ground), plug it in and slowly turn it up until the module gets a signal it's happy with. Be sure to bind the RX first -- don't want to run through trouble shooting why it doesn't hear the RX at all only to find the RX wasn't putting anything out. If you can find 5v to tap off the phoenix module coming in from the USB plug, you can power the RX from there (takes a bit of hacking to get that, and clearly voids any warranty . . . but it's not really yours until you void the warranty ) Otherwise, you may need to provide a battery or get a second USB plug and wire the 5v tap from there. Thanks for your reply Crafty Dan, I finally made it work! 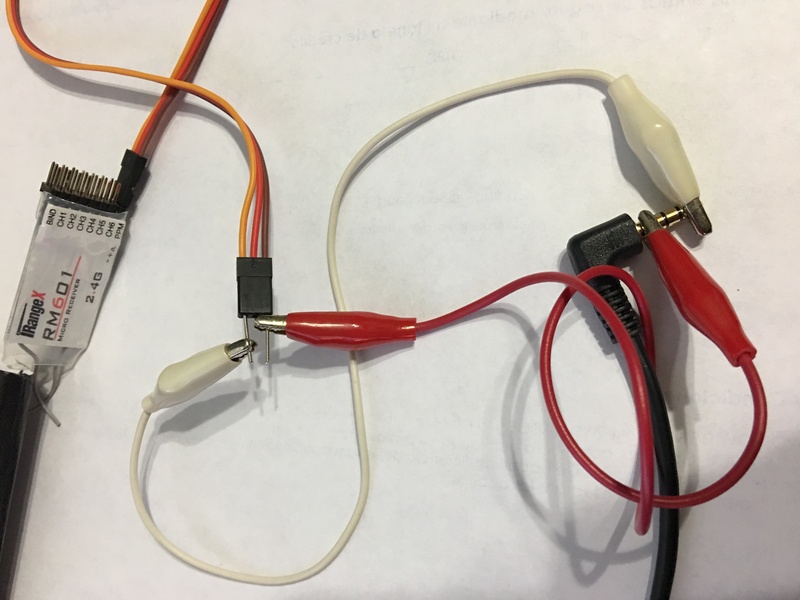 I took the PPM signal and ground from the receiver and connected it to the audio plug from the Phoenix RC Simulator. On the audio plug, I used the tip for the PPM signal and connected the ground to the part closest to to the cable (see image). FML I don't think the place I got it from had this info, but if it did I didn't notice it.........like omfg so I own the only transmitter on the planet that I cant use Phoenix RC with unless I do the above mentioned macgyver stuff that I do not fully understand and I also need to use a battery pack and get another receiver? cicanico got anymore pictures of what is going on there in that photo?